As the world moves towards better technology and advanced knowledge, companies need to rethink the way they are designed, particularly the way workplaces are designed. 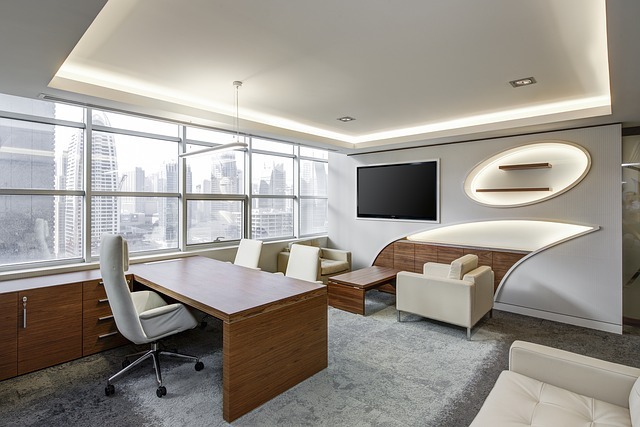 Many of today’s offices are built the same way they were fifty years ago—with small cubicles and enclosed workspaces—which is to say, not much has improved. Recently, however, companies are slowly adopting a more open and collaborative work environment through co-working spaces. Studies have shown that co-working spaces allow employees to thrive far more than traditional offices, as per Harvard Business Review. Here are 5 ways co-working spaces are revolutionizing the workplace. Most companies are focused on competition—even within their own ranks. This has bred a culture of nasty office politics, departmental infighting, crab mentality, and individualistic thinking. Co-working spaces break the mold by introducing a setting that values teamwork over competition and allows workers to exist harmoniously within workplace, instead of trying to upend one another. By cultivating environments that encourage unity, offices become more productive and less hostile. In this setting, professionals no longer have to tightrope-walk tenuous office politics and can focus on the more important work at hand. The result is less internal conflict and greater productivity. What company wouldn’t want that? In our congested cities and congested workplaces, space is a scarce yet extremely important asset, especially when it comes to our health. Because workers are forced into cramped spaces with poor lighting and ventilation, today’s offices are becoming breeding grounds for chronic diseases, depression, obesity, heart ailments, joint pain, and many others. In the US, the problem is reaching epidemic proportions. Everyday, 1 million Americans miss work because of office-related stress, which results in an estimated $300 billion dollars lost annually in opportunity cost and health expenses. Traditionally, office workers are segregated by cubicles, a structure that reinforces individualism and discourages interaction. With co-working spaces, everyone—from the big bosses to the new interns—has access to one another. Co-working spaces function as a watershed for ideas. People from different backgrounds and fields of expertise come together and share knowledge and collaborate. By doing this, departments can share unique insights with one another as well as determine common challenges and common goals. In the long run, this allows companies to tackle problems from multiple perspectives and diverse viewpoints, which, more often than not, leads to more creative and innovative work. Co-working spaces are a move towards modernity, which is why progressive companies like Google, Facebook, and Apple are adopting them. In this environment, offices are encouraged to innovate and, consequently, move towards better technology. Amenities like remote printing, ergonomic furniture, and smart lighting are slowly replacing old technology. We can’t even begin to imagine the efficiency gained by modernizing the workplace. Need a good piece of technology to invest in? Get an HP indigo for quick and remote office printing. Many of today’s professionals are confined to the nine-to-five life, which provides very little flexibility. With co-working spaces, employees can take control of their time, work whenever they are most productive, and even take short breaks in the middle of the work day. Each person is different, which makes it strange that we’re trying to box everyone in the same square cubicles and the same work hours. If you’re looking for a co-working space or virtual office to get some work done, Common Desk provides state-of-the-art office equipment designed for productivity and efficiency.